The rice dish that will be served by Jungsik at Taste of Tribeca comes with a lovely story. According to General Manager Kyungmoon Kim, Miyeok is a seaweed soup also known as “Birthday Soup.” It is traditionally made for a new mother to help with her recovery, and then on each child’s birthday, the mother will make the soup for her children. 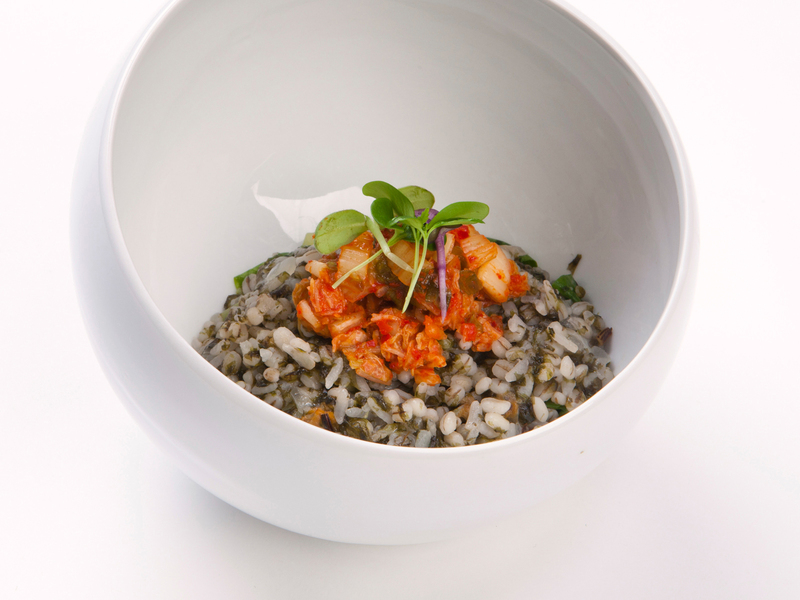 Chef Jungsik Yim has reimagined Miyeok by using seaweed and rice to create a paella-style dish.